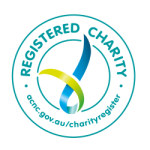 As of the 30th of April 2015 BCCT has officially been verified by Quality Innovation and Performance (QIP) as accredited under the NSW Disability Service Standards. Left to Right: Jenny Paton CEO Bankstown Canterbury Community Transport; Tania Milhailuk, State Member for Bankstown; Dennis Hayward Chairman BCCT; Daryl Melham, former Federal Member for Banks; Clr Khal Asfour, Mayor of Bankstown Council; Clr Ian Stromborg; Ron Norman, Secretary BCCT. This service is supported by funding from the Australian Government under the Commonwealth Home Support Program.